Las Vegas, NV - Patriot Gold Corp. (PGOL:OTC), a gold resource and exploration company, today announced that a Phase II drilling and development program is underway on its Moss Gold-Silver project. During Phase II, the Company's partner, Northern Vertex expects to advance approximately 20,000 feet of reverse circulation (RC) and core drilling at the promising western extension of the Moss gold-silver site. Drilling of four holes has already been completed and analytical results for these first four drill holes are expected shortly. "We are very pleased to initiate our Phase II program on Moss as we continue to advance the project towards a production decision," said Joe Kircher, Moss Project Manager for Northern Vertex. "As evidenced by the Scott E. Wilson, Consulting (SEWC) resource estimate, Moss has already demonstrated consistent grades and remarkably uniform gold and silver distribution across its entire stockwork gold-silver vein system and has the attributes to become a substantial, near-term gold-silver producer. Through the current resource expansion program, we plan to further boost and expand the attractive resource foundation we currently have in place. We will also continue to develop our metallurgical, geotechnical , environmental, hydrological and economic scoping data base as a precursor to future mine permitting and feasibility." 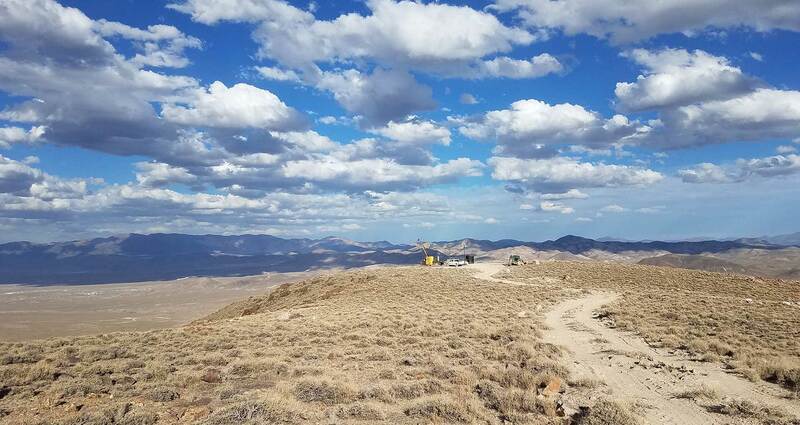 "After receiving strong and favorable independent resource calculations following the completion of our Phase I drilling at the Moss Gold-Silver site, we believe that further investigation in other areas of the Moss site makes sense," said Bob Coale, President of Patriot Gold. "At the same time, we are excited about the progress that our partner, Northern Vertex, continues to make in progressing towards a final production decision." The Moss Mine Project is situated in the historic Oatman Mining district in northwestern Arizona. Since announcing the joint venture project with Northern Vertex in March 2011, the project has completed 59 drill holes through RC and coring techniques. The Moss deposit is a low-sulfidation epithermal stockwork deposit with a strike length in excess of one mile.